The university of Hebei North is now facing a last phase of realizing the fifth years who are done with the medical studies. The university is known each year to produce the best medical graduates, who are taught fluent Chinese language and more than just studies but also positive cultural practices and social ethics. The students are already done with the exam, which they sat for last week on Thursday. Each student could share their joy and happiness because it feels good to complete one level of medical studies and head up to another advanced level of the career. The university happened to talk to one of the students after the exam, to find out about his dreams and set up and all the feeling he had during studies. The student said “I am still celebrating for finishing the exam as it was good, but I do have mixed feelings about all this” the student went on by saying “maybe it is because my time in China has been so short and I will miss all my friends whom we studied together and also because now id the time to part from one another”. The student was also happy because he has a whole life of Medicine awaiting for him in Ghana, where he is expected to work and practice the career of medicine throughout his life. The university has already produced a lot of batches from the year 2009 to 2017 and they have all been seen successful and getting jobs in less than six months time. The students were also given free decision making on either to do the internship in China or in any other country of choice. 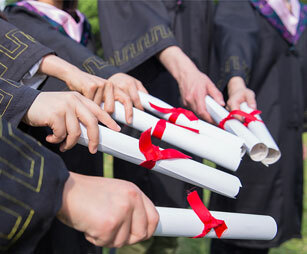 After the duration of an year the students will come back to the university to graduate and be certified as Medical doctors with original certificates provided by the directors of Hebei North University.